We really are looking to awaken the running force in you with this one! 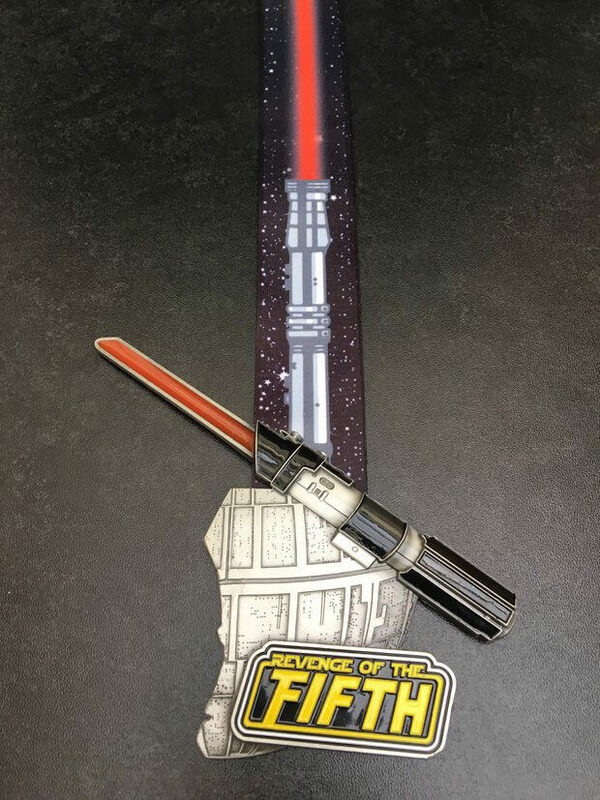 PHOENIX Virtual Running is inviting you to take advantage of advanced entry into our all new and limited edition - 'Revenge of the Fifth' - the medal is epic and interlocks with the 'May the Fourth be with You' medal. Note: We dispatch our medals twice monthly on the 15th and at month end. Medals for the 'May the Fourth' and 'Revenge of the Fifth' will be dispatched in late April / early May 2018 so ideally they are with you for the fourth of May. The medals for this event is one of our finest ever, even if we do say so ourselves. They are 140mm / 7mm thick and are truly interlocking using our unique nodule design. The sabres are fully translucent. They are a force to be reckoned with!